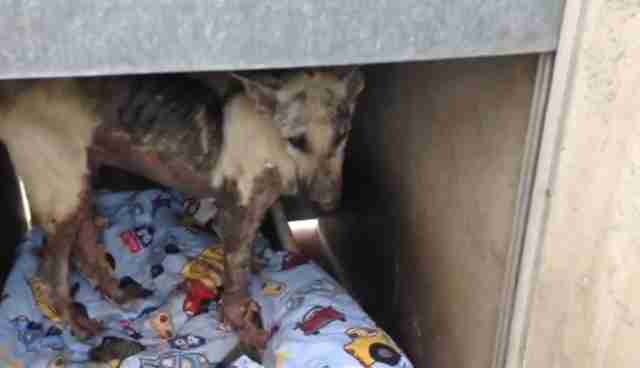 Nameless Stray Dog Was Just A Number … Until Now. Imagine the pain you'd feel when you are covered in open wounds, blood and puss trickling down your legs, all while you are terribly underweight. 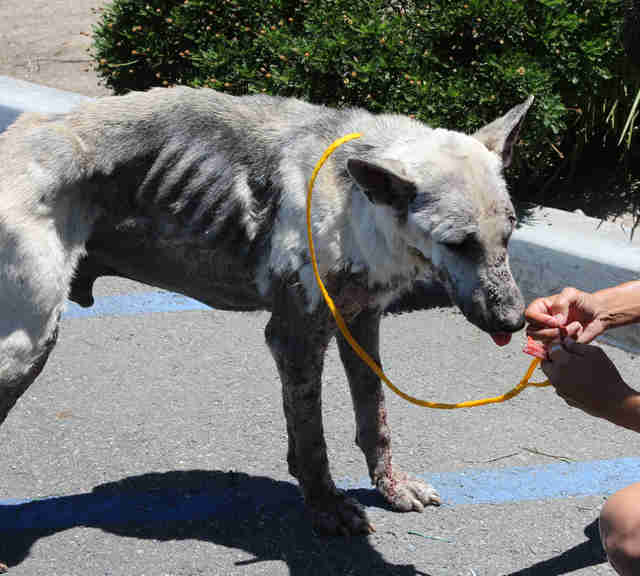 To say this young boy was neglected would be an understatement. His impound number was #A1400580 - he had no name. 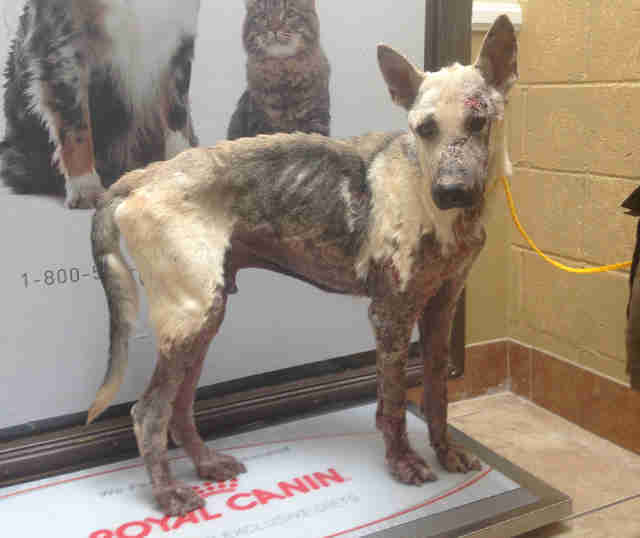 Picked up as a stray by the county shelter, we'll never know what he endured and how long he was neglected, but he was in terrible shape and in extreme pain. The shelter listed him as "rescue only," meaning the public would never know he existed and his only way out would be through a rescue group. 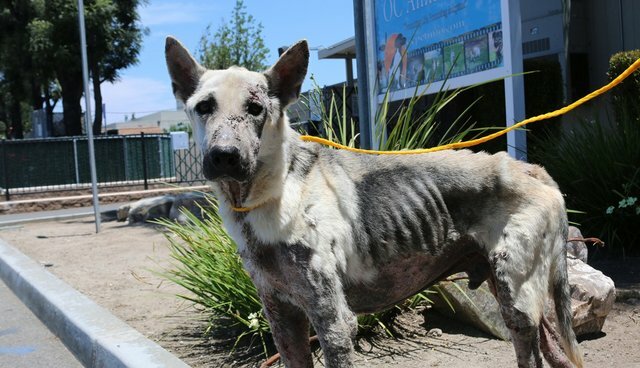 Coastal German Shepherd Rescue OC thought he deserved a second chance and was there to help give it to him. He was rescued and immediately taken to the vet. 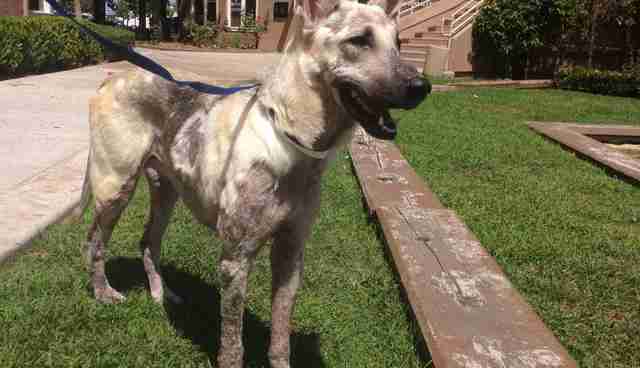 Weighing only 53 pounds, he was diagnosed with sever mange, bacterial infections, anemia, as well as a host of other issues. Three weeks of great vet care later, Posse is a completely different dog! He's happy to spend time with the people around him, a leaner, affectionate, and a total joy. He's so happy to go for walks, he can't contain himself and trots down the path in front of him. His treatments will continue and in 4 to 6 months you will never know what he endured. Support local rescues. They make a difference!